Each month Pro Tool Reviews reaches hundreds of thousands of residential and commercial construction professionals—the very business owners and purchasers who make purchasing decisions for their teams and crews throughout the year. 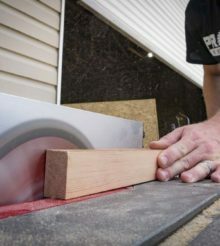 Pro Tool Reviews isn’t just another trade mag—it’s a niche online publication that covers tools in a way no magazine can. And it reaches the growing number of Pros who prefer to do their research online with smartphones, tablets, laptops, or their work PCs. With attractive visuals and head-to-head tool testing, Pro Tool Reviews informs and educates—even while it entertains. And it speaks directly to business owners, letting them know about new tools and learn which ones can stand up under real-world use in the field. Advertising with Pro Tool Reviews puts your tools, fasteners, materials, and accessories in front of the pros you want to reach. Our weekly video show, Pro Tool Reviews LIVE! streams across multiple social media platforms every Friday at 3PM Eastern time. Contact us below for sponsorship opportunities. Pro Tool Reviews is relevant because it’s written BY professionals FOR professionals. Pro Tool Reviews is relevant because it’s written BY professionals FOR professionals. Contractors, builders, tradesmen, and other construction industry professionals read Pro Tool Reviews because it has engaging content written by pros who know the construction business. Reviews of new and upcoming power and hand tools help business owners make informed purchase decisions, and helpful articles provide valuable insight into improving workflow and safety. In short, our readers are your target tool-buying audience. And since the large majority of our readers are business owners and decision makers, you’re influencing the people who actually buy tools—lots of them. With over 550,000 monthly visitors, protoolreviews.com is the premier destination for the professional tradesman. From pro-focused tool reviews and shootouts to industry news and trade-focused articles, protoolreviews.com is designed specifically for the contractor or builder. Our twice-a-week newsletter has been built steadily over the past 10 years and goes out to over 35,000 professionals who look to us for reliable tool reviews and trade-related articles. With an active Facebook, Instagram, and Twitter presence, Pro Tool Reviews backs up every review and advertising campaign with a steady dose of social media exposure. Get More Info or Request a Media Kit! Pro Tool Reviews is part of the CD Media, Inc. publishing group of online magazines.